Motor boats in Alleppey also known as power boats are very different from traditional houseboats and are used mostly for daily commute in the Alleppey backwaters. They are also used for sightseeing by a number of tourists arriving here every year. Forming the heart of Kerala’s backwaters, Alleppey is a sight to behold. These waters will leave you not just with amazement at its breath-taking natural beauty but also at how seamlessly it is woven into the fabric of its people and their lives. Experiencing the backwaters should be a never miss item on your bucket list. Why Motorboats over a Houseboat? Motor boats in Alleppey are much more economical than their more luxurious counterparts, the traditional houseboats. Motor boats, as the name suggests, are attached with powerful engines that help them move along these waters at a faster pace covering more area in less time allowing tourists with time constraints too to make the most of their backwater cruise. Motorboats are available all through the day but not for night cruises. One other advantage of them is their capacity to accommodate large groups. They vary in size, with a capacity of 4 guests to 70 or sometimes more. Unlike houseboats motor boats do not provide lavish facilities. They are available in different sizes depending on the requirement. Made entirely out of wood motor boats also come with upper decks, lower decks with seating provisions, well-furnished cabins and sometimes even toilet facilities. 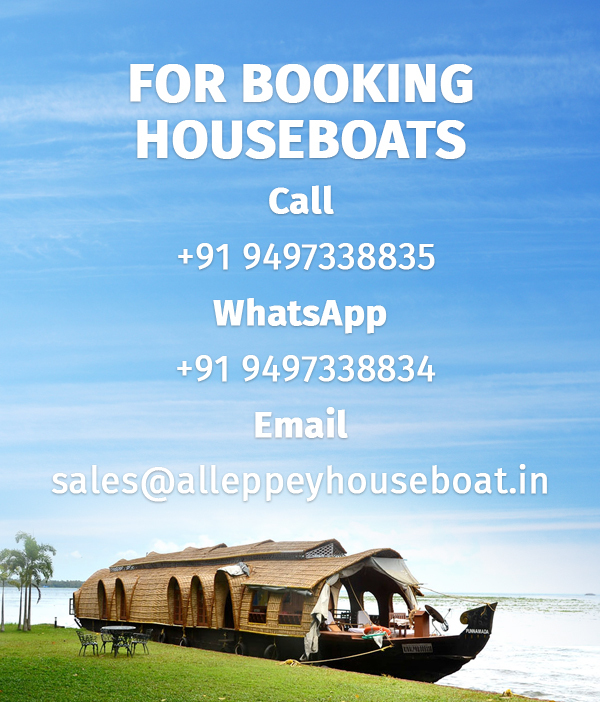 Alleppey houseboat.in have a long list of Motor boats for you to choose from. Choose the one that suits your requirement and budget and explore the hidden canals of Alleppey backwaters.